After many years of advocacy by civil society, Sri Lanka is set to adopt a law that guarantees citizens’ Right to Information (RTI). With that, we will at last catch up with nearly 100 countries that have introduced such progressive laws. Better late than never — but passing the law is only a beginning. Institutionalising it requires effort and funds. Continued vigilance is needed on civil society’s part to guard against the process becoming mired in red tape. RTI signifies unleashing a new potential. To draw an analogy from water management, opening a ‘sluice’ does not by itself mean much unless the downstream systems are in place. In both cases, the recipients need to know how to make the best use of what comes through. Why is RTI such a big deal? Its basis is that in democracies, the public have every right to know what is being done in their name by those entrusted with governance. RTI is the right to access and obtain information from public officials. This right serves several purposes: improve public participation in policy making; promote transparency and accountability in government; and minimise wastage and corruption of state resources by public officials. RTI and freedom of information are used interchangeably, but there is an important distinction between the two. According to lawyer Gehan Gunatilleke, who recently wrote a book on the subject (published by Sri Lanka Press Institute, 2014), freedom of information implies a citizen’s freedom to access and receive public information on request. In such a situation, the government should not violate that freedom by restricting access. RTI goes further, and implies that information is an inherent right of the people. Governments are duty-bound to provide such information. The concept of RTI can be traced back to the principle of ‘public access’ which emerged in Europe during the 18th century. In 1766, Sweden became the first country to legislate RTI: it allowed the public access to government documents. 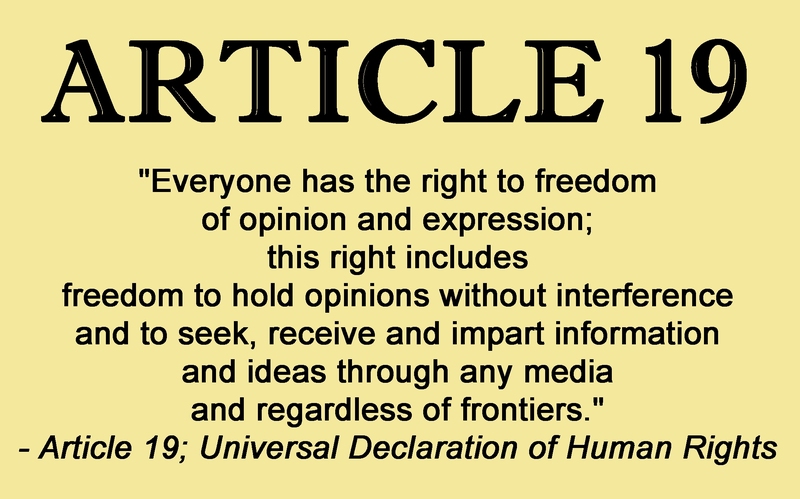 The Universal Declaration of Human Rights, adopted at the United Nations in 1948, recognised the right to seek, impart and receive information as part the fundamental right to freedom of speech and expression (Article 19). RTI does not mean opening up everything. Sensitive information – related to national security, for example – is excluded. The challenge is to strike a healthy balance between full transparency and a few justified exemptions. 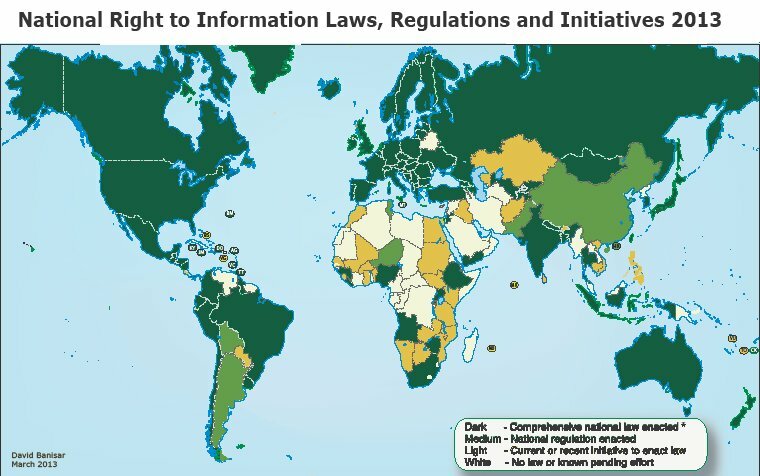 In Asia, India was a frontrunner in developing RTI laws. The campaign for RTI started in the 1990s with a grassroots movement driven by social activists and rural groups. They saw its clear value to counter the growing misuse of authority and public funds by local officials. State level RTI laws were adopted in Tamil Nadu (1997), Goa (1997), Rajasthan (2000), Delhi (2001) and Maharashtra (2002). The national law came into effect in October 2005 after a decade of agitation. Under the Indian law, citizens can request information from any ‘public authority’ within 30 days. It covers all branches of government — executive, legislature and judiciary – as well as institutions and statutory bodies set up by an act of national Parliament or a state legislature. Even non-governmental organisations, if they receive significant amounts of government funds, are covered. The act required all public authorities to appoint a public information officer (PIO) to handle RTI requests. It also mandated computerizing of public records so that certain categories of information are proactively published online, enabling interested citizens to just look it up. 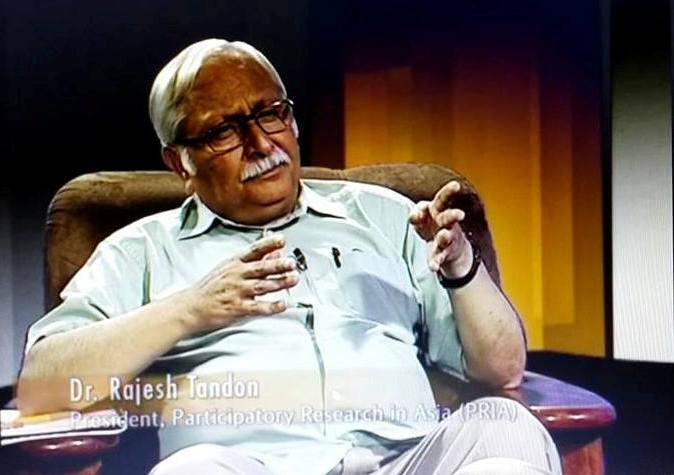 Since the RTI law was introduced, India has seen an improvement in governance, dissemination of information and involvement of civil society in the governance process, says Dr Rajesh Tandon, founder and head of the Society for Participatory Research in Asia (PRIA), a voluntary organisation providing support to grassroots initiatives. At the same time, Tandon points out that some challenges remain at implementation level. Certain states in India have been more active in creating a culture of information sharing and open government, he told me in a television interview in mid 2014. 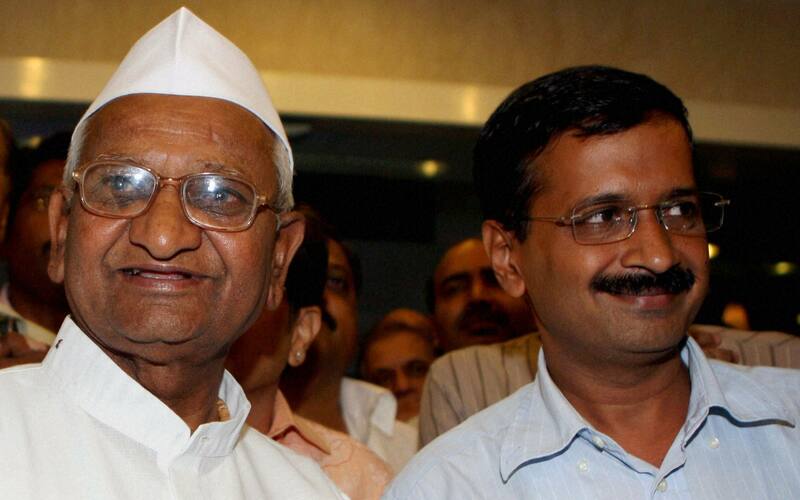 As Indians found out, it isn’t easy to shake off centuries of misplaced state secrecy and mistrust in the public. “Old rules and procedures continue to co-exist as new laws and methods are invented. Official Secrecy Act and Right to Information Act co-exist, just as written precedent and e-governance co-exist,” says Tandon (watch our full interview: https://vimeo.com/118544161). In Sri Lanka, civil society groups and journalists’ organisations were at the forefront advocating RTI. Groups like Transparency International and Sri Lanka Press Institute (SLPI) have been lobbying, training and raising awareness on the societal value of this right. However, RTI is not only for journalists or social activists. It is a right for all citizens living in modern societies where their well-being – sometimes even survival – depends on knowing critical information. Ignorance may have been bliss once upon a time, but it is not recommended for the 21st century. Reorienting the public institutions to a new culture of openness and sharing will be an essential step. Undoing decades of habits will take effort. Asanga Welikala, a legal scholar now with the Edinburgh Law School, said in a tweet that we need a moratorium of ‘at least two years’ before RTI law comes into force – so as to train officials and make all government procedures compliant. He also says the Information Commission must have a proper budget for promotion and public awareness of the new Act, rights and procedures. For example, how to ensure citizen information requests can be accommodated equally in both official languages and the link language? As champions of RTI, media and civil society must now switch roles. While benefiting from it themselves, they can nurture the newly promised openness in every sphere, showing citizens how best to make use of it. Public information can exist in many forms today – ranging from minutes of meetings, budget allocation and expense records, and scientifically gathered information such as census data, or trade statistics. These may be stored on paper, tape or – increasingly – in digital formats. In recent years, with digital technologies the volume of specialised data held by governments has risen phenomenally. Both the data custodians and public today need higher levels of information literacy to navigate through this torrent. The good news: the web makes it easier to store and share information. ‘Open Data’ means that certain data should be freely available to everyone to use and republish as they wish, without restrictions from copyright, patents or other mechanisms of control. The open data approach is especially applied to scientific data and government data. But the debate is far from settled: while there are many strong arguments for opening up, some are concerned about potential misuses. Guidelines are still evolving. A key attribute of open data is its usability. Each country needs to adopt information gathering and data storage standards, so as to minimize users facing problems that arise with the use of different devices, systems and measuring systems. Some public data custodians in South Asia still release vast amounts of data in hard copy (paper-based) form. For example, India’s Marine Fisherfolk Census of 2010 had results running into thousands of pages of data tables – they were only released on paper. That made further analysis impossible. Undaunted, a fishers’ collective mobilised some tech-savvy volunteers to create computerised spreadsheet databases. Like many other elements of good governance, RTI’s effectiveness depends on imagination, innovation and persistence on the part of citizens. Its best results will accrue in a society and political culture where evidence and analysis are trusted. Sri Lanka is not there yet. The road to RTI is a journey, not a destination! 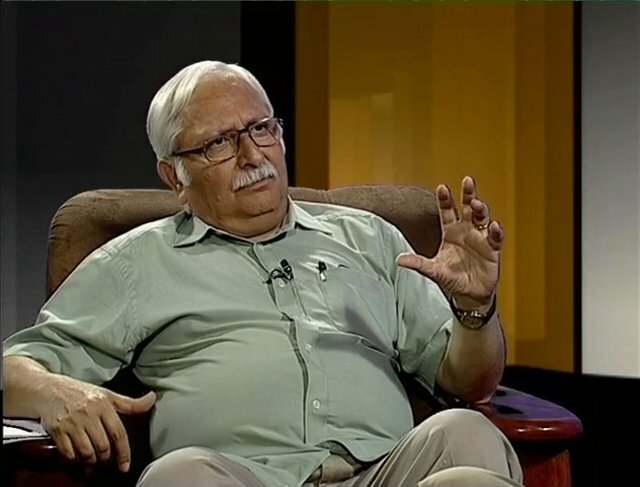 In this week’s Ravaya column (in Sinhala), I continue the Sinhala adaptation of my June 2014 TV interview with Dr Rajesh Tandon of India, an internationally acclaimed leader and practitioner of participatory research and development. 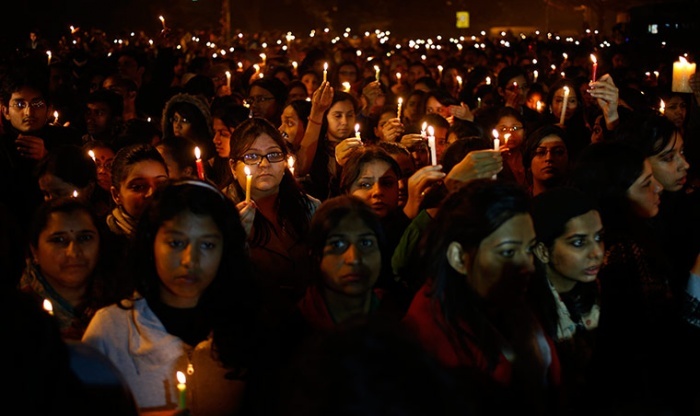 Last week, we discussed the civil space and political space available for advocacy and activism – and how far civil society activists have been able to engage the formal political process in India. Today, we discuss how anti-corruption movement evolved into the Aam Aadmi Party, AAP, and the relevance of India’s experiences to Sri Lanka. We also discuss India’s Right to Information Act and how that has empowered citizens to seek a more open and accountable government at national, state and local levels. Dr Tandon ends by emphasizing that democracy is a work in progress that needs constant engagement and vigilance. 2015 පෙබරවාරි 7 වනදා නැවතත් පැවති දිල්ලි ප්‍රාන්ත මැතිවරනයේදී පොදු මිනිසාගේ පක්ෂය ආමි ආද්මි ^Aam Aadmi Party, AAP& මුලු ආසන 70න් 67ක්ම දිනා ගනිමින් විශිෂ්ට ජයක් ලබා ගත්තා. රටේ පාලක භාරතීය ජනතා පක්ෂයට (BJP) ඉතිරි ආසන 3 හිමි වුණා. මීට පෙර 2013 දෙසැම්බර් 4 වනදා පැවති දිල්ලි මැතිවරනය්දී ආසන 28ක් දිනා ගෙන ප්‍රාන්ත රජයක් පිහිටුවා ගත් ආම් ආද්මි එය කර ගෙන ගියේ මාස දෙකකට අඩු කාලයක්ග 2014 පෙබරවාරි 14දා ඔවුන් ඉල්ලා අස් වුණා. මේ දෙවන වාරයේ ඔවුන්ගේ භූමිකාව කුමක් වේදැයි කිව නොහැකියි. එහෙත් 2014 ජාතික මහ මැතිවරනයෙන් පහසු ජයක් ලද භාරතීය ජනතා පක්ෂයට අභියෝග කරන්නට තරම් සිවිල් සමාජ ක්‍රියාකාරිකයන් අතරින් මතු වූ මේ ලාබාල පක්ෂයට හැකිව තිබෙනවා. 2014 ජුනි මාසයේ මා ඉන්දියාවේ ප‍්‍රවීණතම සිවිල් සමාජ ක‍්‍රියාකාරිකයකු හා සහභාගිත්ව සංවර්ධනය ගැන ලොව පිළිගත් විද්වතකු වන ආචාර්ය රාජේෂ් ටැන්ඩන් (Dr Rajesh Tandon) සමග ටෙලිවිෂන් සාකච්ඡුාවක් කළා. නාලක: දූෂන විරෝධී සිවිල් සමාජ ක්‍රියකාරිකයන් පිරිසක් දේශපාලන පක්ෂයක් පිහිටුව ගත්තේ ඇයි? රාජේෂ් ටැන්ඩන්: ලෝක්පාල් නම් වූ දූෂණ විරෝධී පනත (Jan Lokpal Bill) පසුගිය පාර්ලිමේන්තුවේ (2009-2014) පල් වන විට අන්නා හසාරේ ඇතුළු පිරිසට පෙනී ගියා සියලු දේශපාලන පක්ෂ මේ ගැන සැබෑ උනන්දුවක් නොගන්නා බව. ඒ පසුබිම තුළ තමයි ආමි ආද්මි පක්ෂය බිහි වූයේ, දේශපාලන අවකාශයෙන් පිටත සිට කළ හැකි සියලූම බලපෑම් කිරීමෙන් අනතුරුව මේ සිවිල් ක‍්‍රියාකාරීන් එහි යා හැකි දුරේ සීමා තිබෙන බව තේරුම් ගත්තා. ඔවුන් සක‍්‍රිය පක්ෂ දේශපාලනයට පිවිසියේ ඉන් පසුවයි. 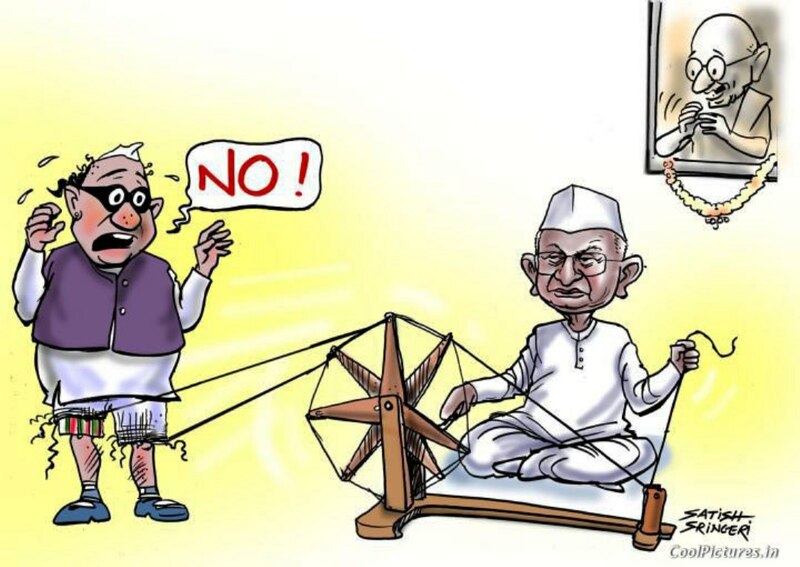 අන්නා හසාරේ (Anna Hazare) සහ අනුගාමිකයන් අතර මේ ගැන ප‍්‍රතිවිරුද්ධ මත තිබුණා නේද? හසාරේ ක‍්‍රියාකාරී දේශපාලනයට පිවිසීමට ප‍්‍රතික්ෂේප කළත් ඔහුගේ දෙවැනියා අර්වින්ද් කෙජ්රිවාල් (Arvind Kejriwal) පොදු මිනිසාගේ පක්ෂය පිහිටුවා ගත්තා. ඔවුන් දෙමගක ගියාද? මේ විවාදය කලක සිටම ඉන්දියාවේ පවතින්නක්. විශේෂයෙන්ම රටේ තීරණාත්මක සංධිස්ථානවලදී එයට කෙසේ ප‍්‍රතිචාර දැක්විය යුතුද යන්න සරසවි සිසුන් හා සිවිල් ක‍්‍රියාකාරිකයන් මෙනෙහි කරනවා. සක‍්‍රිය දේශපාලනයට පිවිසීම එක් ප‍්‍රතිචාරයක්. ප‍්‍රචණ්ඩ අරගලවලට යොමු වීම තවත් ප‍්‍රතිචාරයක්. සත්‍යග‍්‍රහ හා සාමකාමී උද්ඝෝෂණ කිරීම තව එකක්. මේ එක එකක් සාධාරණ යයි කීමට එයට පිවිසි අයට තර්ක ද තිබුණා. අන්නා හසාරේ තරයේ විශ්වාස කළේ පක්ෂ දේශපාලනයට පිවිසීම හරහා දූෂණ විරෝධී ජනතා ව්‍යාපාරයේ එතෙක් පවත්වා ගෙන ආ සාරධර්මීය පිවිතුරු බව අහිමි වන බවයි. එහි යම් ඇත්තක් තිබෙනවා. අද කාලේ පක්ෂ දේශපාලනය කරන්නට මුදල්, පිරිස් බලය හා මාධ්‍ය සමග මනාව ගනුදෙනු කිරීම අවශ්‍යයි. එහෙත් අර්වින්ද් කෙජ්රිවාල් ඇතුළු පිරිසක් තර්ක කළේ ප‍්‍රශ්නයේ සැබෑ මුල් ඇති සක‍්‍රිය දේශපාලනයට පිවිසීමෙන් පමණක් දූෂණයේ අක්මුල් පාදා ගෙන විසඳුම් සැපයීමට හැකි බවයි. ඉතා කෙටි කලක් තුළ ඔවුන් නාගරිකයන් අතර මහත් ජනාදරයට පත් වුණා නේද? කෙටි කාලයක් තුළ කෙජ්රිවාල්ගේ පක්ෂය දිල්ලියේ ප‍්‍රාන්ත පාලන රජයක් පිහිටුවා ගන්නට මැතිවරණ ජයග‍්‍රහණයක් ලැබුවා (2013 දෙසැම්බර්). ඔවුන් වසර ගණනාවක සිට බිම් මට්ටමින් කළ ජනතා ව්‍යාපාර (ත‍්‍රීරෝද හා රික්ෂෝ රියදුරන්ගේ අයිතිවාසිකම් තහවුරු කිරීම, විදුලිබල හා ජල ප‍්‍රවාහනය විධිමත් කිරීම, දුගී ජනයාට සහන මිලට ධාන්‍ය ලබාදීම) හරහා ගොඩ නගා ගත් හොඳ හිතක් තිබුණා. එහි උපකාරයෙන් දිල්ලියේ බලයට පත්වන්නට හැකි වුණා. සීමිත බල ප‍්‍රදේශයක් තුළ ඔවුන් කෙටි කලක් පාලනය කළා. නමුත් 2014 මහ මැතිවරණයේදී ආම් ආද්මි පක්ෂයට දිනා ගත හැකි වූයේ ආසන හතරක් පමණයි. ඉන්දියාවේ තෙවන බලවේගයක් වන්නට ඔවුන්ට හැකිද? ආම් ආද්මි පක්ෂයේ වඩාත් ප‍්‍රමුඛව මහජනයා ඉදිරියට ආ මුහුණු බොහොමයක් කලක් තිස්සේ සිවිල් සමාජ ක‍්‍රියාකාරීත්වයේ යෙදී සිටි සමාජ සේවකයන් හා විද්වතුන්. මේ නිසා ආමි ආද්මියට හොඳ ජනතාවාදී පදනමක් හා දැක්මක් මුල පටන්ම ලැබුණා. මෙය සාම්ප‍්‍රදායික දේශපාලන පක්ෂ යම් තැති ගැන්මකට පත් කළා. එවිට රාජ්‍ය පක්ෂ හා විපක්ෂ දෙකේම එවකට සිටි දේශපාලකයන් කළේ ආමි ආද්මි ක‍්‍රියාකාරිකයන්ගේ ඇද කුද සෙවීමයි. 2012 යම් අවස්ථාවක හිටපු අගමැති මන් මෝහන් සිං ප‍්‍රකාශයක් කළේ විදේශ බලවේගයන් රාජ්‍ය නොවන සංවිධාන (NGO) හා සිවිල් ක‍්‍රියාකාරිකයන් හරහා ඉන්දියාවේ ඉදිරි ගමන කඩාකප්පල් කරන්නට තැත් කරන බවයි! ‘විදෙස් හස්තය’ (foreign hand) නොහොත් ‘අදිසි හස්තය’ (hidden hand) ගැන චෝදනා කිරීම අපේ රටවල කලක සිට කෙරෙන දෙයක් නේද? ඇත්තටම. එක්කෝ අමෙරිකානු හස්තය, නැතිනම් ස්කනැඞ්නේවියානු හස්තයට දොස් කීම අපේ ඉන්දියානු සිරිතක්. එහෙත් රටේ නායකයා අගමැතිවරයා මෙබඳු ප‍්‍රකාශයක් කළ මුල් වතාව මෙයයි. ඊට පෙර එබඳු චෝදනා කළේ තනතුරින් වඩාත් කනිෂ්ඨ දේශපාලකයන් පමණයි. මෙයින් පෙනි ගියේ විධිමත් දේශපාලන අවකාශයට සිවිල් සමාජ ක‍්‍රියාකාරිකයන් පිවිසීමට එරෙහිව වෘත්තීය දේශපාලකයන්ගේ ප‍්‍රතිරෝධයයි. රාජ්‍ය නිලධාරිවාදය උච්ච අන්දමින් මුදා හැර තමන් නොකැමැති රාජ්‍ය නොවන සංවිධාන පරීක්ෂා කිරීමට හා ඔවුන්ට හිරිහැර කිරීමට බලයේ සිටින දේශපාලකයන් පෙළඹෙන සැටි අපි දන්නවා. ඒ හරහා ඔවුන් සිවිල් සමාජයට වක‍්‍රව පණිවුඩයක් යවනවා….අපත් සමග හැප්පෙන්න ආවොත් බලා ගෙනයි කියා. 2014 මහ මැතිවරණයෙන් ආමි ආද්මි පක්ෂය ජාතික වශයෙන් බලවේගයක් ලෙස ඉස්මතු වූයේ නැහැ. එහි වැදගත්ම පාඩම මෙයයි. ඉන්දියාව වැනි අතිශයින් විවිධ වූත් විශාල වූත් රටක සිවිල් සමාජ ක‍්‍රියාකාරිකයන් සිවිල් අවකාශයේ සිට දේශපාලන අවකාශයට පිවිසි විට ඔවුන්ට සාර්ථක විය හැක්කේ යම් භූගෝලීය වශයෙන් සීමිත ප‍්‍රදේශයක පමණයි. ජාතික මට්ටමෙන් එතරම් බලපෑමක් කළ හැකි ඡන්ද ප‍්‍රතිශතයක් ලබා ගැනීම අසීරුයි. සිවිල් සමාජ ක‍්‍රියාකාරිකයන් සිය පොදු උන්නතියට කැපවූ කටයුතු හරහා සමාජයීය ප‍්‍රාග්ධනයක් (social capital) ගොඩනගා ගෙන තිබෙනවා. එහෙත් ඉන්දියාව වැනි විශාල රටක එය අදාළ වන්නේ එක් නගරයකට හෝ ප‍්‍රාන්තයකට පමණයි. මුළු රටටම හා බිලියන් 1.2ක ජනයාට ස්පර්ශ වන අන්දමේ සිවිල් ක‍්‍රියාකාරිකයන් බිහි වන්නේ ඉතා කලාතුරකින්. ආමි ආද්මි පක්ෂය 2013 දිල්ලියේ ප‍්‍රාන්ත රජය (Delhi legislative assembly) ජයග‍්‍රහණය කළත් පාලනය කළේ දින 49යි. එහිදී ඔවුන්ගේ ජනප‍්‍රියවාදී (populist) පිළිවෙත් බොහෝ විවේචනවලට ලක් වුණා. සිවිල් සමාජ ක‍්‍රියාකාරිකයන් උද්ඝෝෂණවලට දක්ෂ වුවත් රාජ්‍ය පාලනයට අසමත්ද? එබඳු හැඟීමක් සමහරුන් තුළ ජනිත කරන්නට ආමි ආද්මියේ දිල්ලි ක‍්‍රියා කලාපය හේතු වුණා. මෙය කනගාටුදායකයි. දිගු කලක් තිස්සේ වීදි බැස උද්ඝෝෂණය කළ පිරිසකට අන්තිමේදී ඡන්දයෙන් පාලන බලය ලැබුණු විට ඔවුන් ඉක්මනින් තම භූමිකාව වෙනස් කර ගත යුතුයි. රාජ්‍ය පාලනය කිරීමේදී නිලධාරීන්, පොලිසිය, ව්‍යාපාරිකයන් ඇතුළු නොයෙකුත් පිරිස් සමග සහයෝගයෙන් වැඩ කරන්නට වනවා. ආමි ආද්මි පක්ෂය දිල්ලියේ පාලනයට පත්වූ විට එය හරිහැටි කරගෙන යෑමට අවශ්‍ය විනය හා සංවිධාන ශක්තිය ඔවුන් සතුවූයේ නැහැ. ඔවුන්ගේ සමාජ දැක්ම, අවංකබව හා කැපවීම ඉතා හොඳින් තිබුණත් නව වගකීම් සමුදායට අනුගත වීමට ඔවුන් අසමත් වුණා. ඉන්දියාවට වඩා විශාලත්වයෙන් මෙන්ම විවිධත්වයෙන් ද බෙහෙවින් කුඩා වූ ශ‍්‍රී ලංකාවට මේ අත්දැකීම් අප කෙසේ අදාළ කර ගත යුතුද? මෙරට සිවිල් සමාජ ක‍්‍රියාකාරිකයන් දේශපාලන අවකාශයට කෙසේ නම් පිවිසිය යුතුද? පළමුවැන්න නම් සිවිල් ක‍්‍රියාකාරිකයන් ඍජුවම දේශපාලන නායකයන්, ජනතා ඡන්දයෙන් පත් වූ නියෝජිතයන් නිතර මුණ ගැසී තම ස්ථාවරයන් හා ප‍්‍රශ්න පැහැදිලිව සන්නිවේදනය කොට සංවාද කළ යුතුයි. හැම දේශපාලන පක්ෂයකම පාහේ න්‍යායචාර්යවරුන් සිටිනවා. ඔවුන් සමගත් බුද්ධිමය සංවාදයක් ගොඩ නගා ගත යුතුයි. ඔබ ඔවුන්ට මුළුමනින්ම විරුද්ධ මත දැරුවත් ඔවුන් සමග සංවාද කිරීම ඉතා වැදගත්. මෙහිදී ස්වාධීන හා සක‍්‍රිය මාධ්‍ය පැවතීම තීරණාත්මකයි. බොහෝ විට සිවිල් සමාජ ක‍්‍රියාකාරිකයන් පවත්නා රජයන්ට කියන දේ, කරන බලපෑම් ගැන මහජන මතයක් ඇති කළ හැක්කේ මාධ්‍ය ආවරණය හරහායි. ජනතා ව්‍යාපාර හා සිවිල් සමාජ අරගලයන් ප‍්‍රතිපත්ති හා නීති දක්වා යන දුෂ්කර ගමනේදී මාධ්‍යවලින් ලැබෙන දායකත්වය ඉන්දියාවේ අතිශය වැදගත්. අනෙක් අතට ජනතාවගේ ප‍්‍රශ්න හා ප‍්‍රමුඛතා මොනවාද යන්න හඳුනා ගන්නට මාධ්‍යවලට බෙහෙවින් උපකාරවන්නේ සිවිල් සමාජ ක‍්‍රියාකාරිකයන්. ශ‍්‍රී ලංකාවේ මේ සබඳතාව වඩාත් ප‍්‍රශස්ත කරගත හැකි නම් දෙපිරිසටම එය ප‍්‍රයෝජනවත් වනු ඇති. දෙවැන්න නම් දේශපාලකයන් මුහුණ දෙන ප‍්‍රායෝගික දුෂ්කරතා හා ඔවුන්ට ඇති සීමාවන් ගැන සිවිල් සමාජ ක‍්‍රියාකාරිකයන් මීට වඩා සංවේදී වීමද අවශ්‍ය යැයි මා සිතනවා. තොරතුරු දැන ගැනීමේ අයිතිය (Right to Information Act) නීතියෙන් තහවුරු වී ඉන්දියාවේ දැන් දශකයක් පමණ කල් ගත වී තිබෙනවා. පුරවැසි හා සිවිල් සමාජ ක‍්‍රියාකාරීත්වයට හා යහපාලනයට මෙය දායක වී ඇත්තේ කෙසේද? ඉන්දියාවෙත් ශ‍්‍රී ලංකාවෙත් බි‍්‍රතාන්‍ය පාලන සමයේ හඳුන්වා දුන් රාජ්‍ය රහස් පිළිබඳ නීති (official secret laws) එක සමානයි. බි‍්‍රතාන්‍ය රාජ්‍ය පාලකයන්ට ඕනෑ වුණේ හැකි තරම් රජයේ තීරණ, ප‍්‍රතිපාදන හා වියදම් රටවැසියන්ගෙන් වසන් කොට තැබීමට. තොරතුරු දැනගැනීමේ අයිතිය නීතිගත කිරීම හරහා රාජ්‍ය ප‍්‍රතිපත්ති, වැඩපිළිවෙළ, මූල්‍ය ප‍්‍රතිපාදන, වියදම් හා වෙනත් රාජ්‍ය පාලන ක‍්‍රියාකාරකම් ගැන විස්තරාත්මක තොරතුරු ඉල්ලා සිටීමේ වරම පුරවැසියන්ට ලැබෙනවා. ඉන්දියාවේ මෙය නීතියක් ලෙස 2005දී ලබා දෙන්නට පෙර වසර ගණනාවක් සිවිල් සමාජ සංවිධාන හා ක‍්‍රියාකාරිකයන් ඉතා ඕනෑකමින් ඒ සඳහා ජනමතයක් ගොඩ නැගුවා. එය නීතිගත වූ පසුවද එහි නිසි ක‍්‍රියාකාරීත්වය හා නිසි ඵල නෙලා ගැනීම තහවුරු කර ගන්නට සිවිල් සමාජ දායකත්වය ඉතා ඉහළයි. මධ්‍යම තොරතුරු කොමිසමක් (Central Information Commission, CIC) ස්ථාපිත කරනු ලැබුවා. රාජ්‍ය ආයතනයකට තොරතුරු ඉල්ලීමක් කොට නිසි ප‍්‍රතිචාර නිසි කාල සීමාව තුළ නොලදහොත් එය ගැන පැමිණිලි කිරීමට හා මැදිහත්වීමට මේ කොමිසමට පූර්ණ බලතල තිබෙනවා. මුලදී තොරතුරු කොමසාරිස්වරුන් සියල්ලන්ම පරිපාලන සේවා නිලධාරීන් වුවත් දැන් ක‍්‍රමයෙන් කොමිසමට නීතිවේදීන් හා සිවිල් සමාජ ක‍්‍රියාකාරිකයන්ද පත්ව සිටිනවා. අපේ වැදගත්ම පාඩම නම් තොරතුරු දැනගැනීමේ අයිතිය නීතිගත වීම පමණක් නොසෑහෙන බවයි. එය ප‍්‍රායෝගිකව සාක්ෂාත් කර ගැනීමට නිරන්තර සිවිල් සමාජ සහභාගිත්වය, අවදියෙන් සිටීම හා අධීක්ෂණය ඉතා වැදගත්. තොරතුරු අයිතිය නීතිගත වීම සාමාන්‍ය ඉන්දියානු පුරවැසියාට බලපෑවේ කෙසේද? මෙතෙක් නොයෙක් නිදහසට කාරණා දක්වමින් මහජනයාට නිලධාරිවාදී කඩතුරාවකින් වසන් කරගෙන සිටි රාජ්‍ය පාලන ක‍්‍රියාකාරීත්වය ප‍්‍රථම වතාවට නිල වශයෙන්ම විවෘත වූවා (open government). මෙය හුදෙක් මාධ්‍යවේදීන්ට පමණක් සීමාවූ අයිතියක් නොවෙයි. බිලියන් 1.2ක් වන සියලූම ඉන්දියානුවන්ට අද මධ්‍යම, ප‍්‍රාන්ත හෝ ප‍්‍රාදේශීය මට්ටමේ රාජ්‍ය තන්ත‍්‍රයේ බොහෝ පැතිකඩ ගැන තොරතුරු දින 30ක් ඇතුළත ලබා ගැනීමේ නීතිමය අයිතිය තිබෙනවා. ජනතාවට වග කියන රාජ්‍ය පාලනයක් (accountable government) ඇති කිරීමට නම් අනවශ්‍ය රහසිගත බව පසෙක ලා මෙසේ පාරදෘශ්‍යවීම ශිෂ්ට සමාජයකට අත්‍යවශ්‍යයි. තොරතුරු ලබාගැනීමේ හැකියාව තහවුරුවීමත් සමග තොරතුරු විග‍්‍රහ කිරීම, සාවද්‍ය තැන් හඳුනා ගැනීම, හේතු විමසීම හා සංකීර්ණ ආකාරයේ අක‍්‍රමිකතා හෝ දුෂණ සොයා යෑම ආදී කුසලතා ඉන්දීය සිවිල් සමාජ ක‍්‍රියාකාරිකයන් ප‍්‍රගුණ කොට තිබෙනවා. තොරතුරු නීතිය ලැබුණාට මදි. එයින් ඵල නෙළා ගන්නටත් හැකි විය යුතුයි. ප‍්‍රජාතන්ත‍්‍රවාදයේ නියම අරුතත් එයම නේද? ඇත්තටම ඔව්. වඩාත් සහභාගිත්ව ප‍්‍රජාතන්ත‍්‍රවාදයක් (participatory democracy) ඒ හරහා ඉන්දියාවේ මතු වෙමින් තිබෙනවා. දුෂිත හෝ අකාර්යක්ෂම දේශපාලකයන් හා නිලධාරීන් මෙයට නොකැමැති වුවත්, අවංක හා සේවයට කැප වූවන්ට මේ තොරතුරු නීතිය හිතකරයි. සමහර ඉන්දීය ප‍්‍රාන්තවල තොරතුරු නීතිය වඩාත් හොඳින් සාක්ෂාත් කරගෙන තිබෙනවා. එබඳු ප‍්‍රාන්තවල දැන් දේශපාලන අවකාශය හා සිවිල් අවකාශය අතර සබඳතා සවිමත් කරන යහපාලමක් ලෙස තොරතුරු නීතිය ක‍්‍රියා කරනවා. සමහර පසුගාමී ප‍්‍රාන්තවල මෙය තවමත් සිදුව නැහැ. (ඉන්දියාව කියන්නේ සංකීර්ණ හා බහුවිධ තත්ත්වයන් පවතින රටක්.) නමුත් පොදුවේ ගත් විට තොරතුරු අයිතිය නීතිගත වීම හා එය තහවුරු කර ගැනීම හරහා ඉන්දීය ප‍්‍රජාතන්ත‍්‍රවාදයේ ගුණාත්මක බව මූලධර්මීය මට්ටමෙන්ම දියුණු වෙමින් තිබෙන බව නම් පැහැදිලියි. නමුත් තවත් යා යුතු දුර බොහෝයි? ප‍්‍රජාතන්ත‍්‍රවාදය කියන්නේ නිරතුරුව වෙහෙස මහන්සියෙන් නඩත්තු කිරීම් කළ යුතු සමාජ සංසිද්ධියක්. එය කිසි දිනෙක හමාරයි පරිපූර්නයි කියා අපට විරාම ගන්නට බැහැ! තොරතුරු අයිතිය නීතිගත වීම හරහා ප‍්‍රජාතන්ත‍්‍රවාදය නඩත්තුවට අමතර මෙවලම් හා අවකාශයන් ඉන්දීය අපට විවෘත වුණා. එය පදනම් කර ගෙන පොදු උන්නතියට අවශ්‍ය සංවාද කිරීම හා හිතකර ප‍්‍රතිපත්ති වෙත යොමු වීම දේශපාලකයන්, නිලධාරීන් හා සිවිල් සමාජ ක‍්‍රියාකාරිකයන් සියලූ දෙනාටම තිබෙන අභියෝගයක්. ආචාර්ය ටැන්ඩන්, ඔබේ දැක්ම හා අත්දැකීම් ශ‍්‍රී ලංකාවේ අපට මාහැඟි ආදර්ශයක් හා ප‍්‍රබෝධක ආවේගයක් සපයනවා. ඔබට බෙහෙවින් ස්තුතියි! 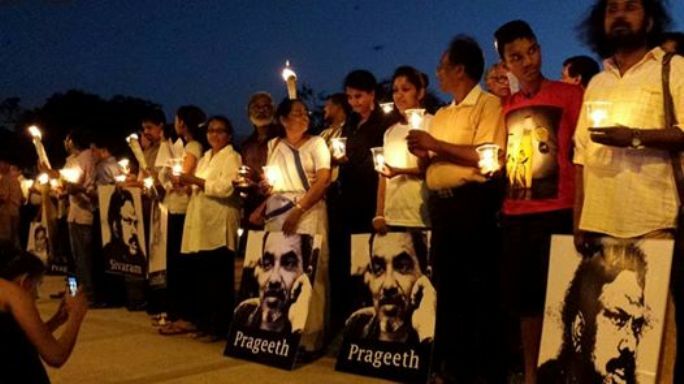 Citizens’ vigil for murdered and disappeared Lankan journalists: 5 January 2015 at Vihara Maha Devi Park, Colombo. Civil society – in its widest sense – played a key role in the recent peaceful change of government in Sri Lanka. It was civil society advocacy – for ending corruption, ensuring independence of judiciary, and increasing democratic checks and balances on the executive presidency – that inspired a larger citizen demand for better governance. The parliamentary opposition was pushed into belated action by these citizen demands. 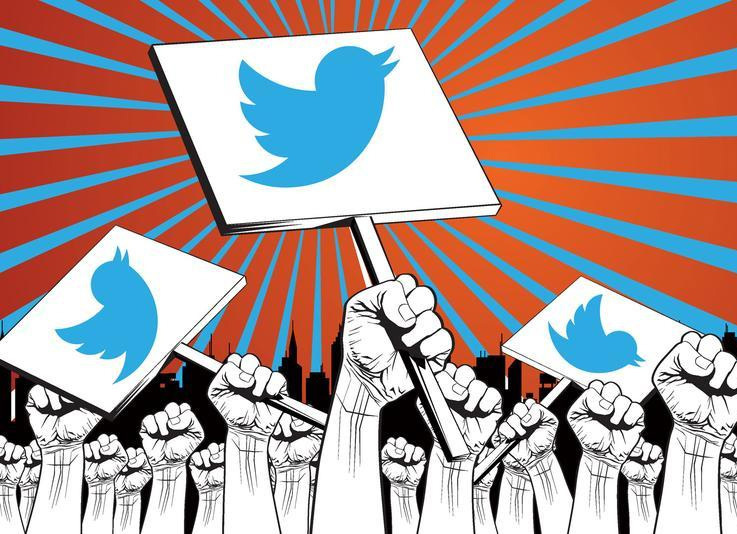 What is the role of civil society in the political process? How and where does the civil space intersect with the political space? How can civil society engage formal political parties without being subsumed or co-opted? 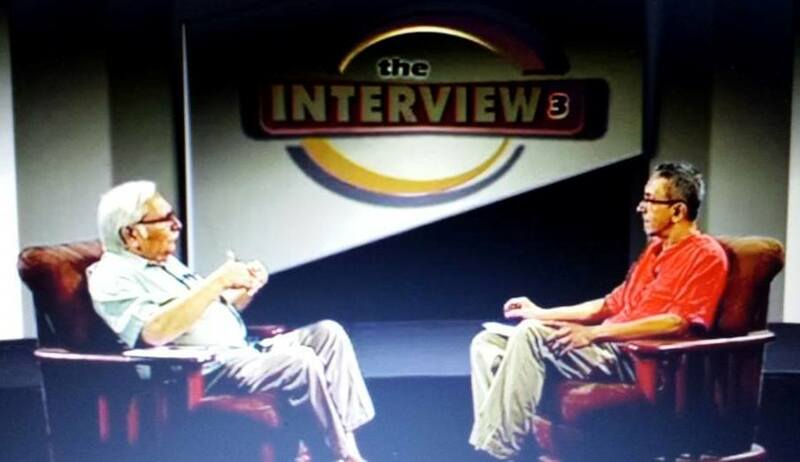 In June 2014, I posed these questions to Dr Rajesh Tandon of India, an internationally acclaimed leader and practitioner of participatory research and development, when I interviewed him for Young Asia Television (YATV) – I was just ‘standing in’ for the regular host Sanjana Hattotuwa. සිවිල් සමාජය (civil society) පුළුල් සංකල්පයක්. ප‍්‍රජා මට්ටමේ සමිති සමාගම්වල සිට වඩාත් විධිමත් රාජ්‍ය නොවන සංවිධාන මෙන්ම වෘත්තීය සමිති, වෘත්තිකයන්ගේ සංවිධාන හා ජාලයන් සියල්ල සිවිල් සමාජය ගණයට අයත්. සිවිල් සමාජයේ දේශපාලන සහභාගිත්වය කෙසේ විය යුතුද? පුරවැසියන්ගෙන් සැදුම් ලත්, පුරවැසි අපේක්ෂාව වටා සංවිධාන ගත වන සිවිල් සමාජය ඕනෑම ප‍්‍රජාතන්ත‍්‍රවාදී රටක යහපාලනය සඳහා ඉතා වැදගත් කාර්යයන් සමුදායක් ඉටු කරනවා. දේශපාලන ක‍්‍රියාදාමය තනිකරම දේශපාලන පක්ෂවලට ඉතිරි කොට සිවිල් සමාජය සමාජ සුබ සාධනයට පමණක් සීමා විය යුතු යැයි පටු තර්කයක් ගෙවී ගිය අඳුරු දශකයේ මෙරට ප‍්‍රවර්ධනය කරනු ලැබුවා. එහෙත් 2015 ජනාධිපතිවරණයේ තීරණාත්මක වෙනස උදෙසා සිවිල් සමාජ දායකත්වය අති විශාලයි. හිටපු රජය එපා කියද්දීත්, තහංචි හා හිරිහැර මැද්දෙන් සිවිල් සමාජය ගත් යහපාලන ස්ථාවරයන් අනුමත කරන්නට හා අනුකරණය කරන්නට දේශපාලන පක්ෂවලට සිදු වුණා. මෙය අපට පමණක් සීමා වූ අත්දැකීමක් නොවෙයි. වඩාත් පරිණත ප‍්‍රජාතන්ත‍්‍රවාදයක් පවතින ඉන්දියාවේ මේ ගැන පුළුල් අත්දැකීම් තිබෙනවා. 2014 ජුනි මාසයේ ඒ ගැන මා එරට ප‍්‍රවීණතම සිවිල් සමාජ ක‍්‍රියාකාරිකයකු හා සහභාගිත්ව සංවර්ධනය ගැන ලොව පිළිගත් විද්වතකු වන ආචාර්ය රාජේෂ් ටැන්ඩන් (Dr Rajesh Tandon) සමග දීර්ඝ ටෙලිවිෂන් සාකච්ඡාවක් කළා. ඉංජිනේරු හා කළමනාකරණ උපාධි සතු වුවත් ඔහු ගෙවී ගිය වසර 35 කැප කොට ඇත්තේ නියෝජිත ප‍්‍රජාතන්ත‍්‍රවාදය නූතන ලෝකයේ අභියෝගවලට මුහුණදීමට හැකි පරිදි වඩාත් සහභාගිත්ව රාමුවකට ගෙන ඒමටයි. ඉන්දියාවේ සිවිල් සමාජ ආයතන හා ජාල ගණනාවක නායකත්වයට අමතරව පුරවැසි සහභාගිත්වය සඳහා ලෝක සන්ධානයේ (CIVICUS) පාලක මණ්ඩල සභිකයකු ද වන ඔහු කොළඹට පැමිණි මොහොතක YATV සාකච්ඡාවකට මා සමග එකතු වුණා. මාස කිහිපයකට පසු එහි සිංහල අනුවාදය ඔබට ගෙන එන්නේ මෙරට අඳුරු දශකයක නිමාවෙන් පසු යහපාලනයේ පැතුම් යළිත් දැල්වෙමින් තිබෙන මොහොතක එයට යම් ජවයක් ඉන්දියාවෙන් ලද හැකියැ’යි මා විශ්වාස කරන නිසා. නාලක: කොළඹදී ඔබ කළ දේශනයේ ඔබ පෙන්වා දුන්නා පොදු උන්නතිය සඳහා ක‍්‍රියා කළ හැකි අවකාශයන් දෙකක් ඇති බව. එකක් දේශපාලන අවකාශය (political space). අනෙක සිවිල් අවකාශය (civil space). මේ දෙක එකිනෙකට මුණ ගැසෙන්නේ කෙලෙසද? රාජේෂ් ටැන්ඩන්: මගේ ජීවිත කාලය පුරාම සිවිල් සමාජ ක‍්‍රියාකාරී ක්ෂේත‍්‍රයේ මා නිතරව සිටිනවා. ඉන්දියාවේ මෙන්ම ගෝලීය වශයෙන්. අප නිතර මෙනෙහි කරන ප‍්‍රශ්නයක් නම් දේශපාලන ක‍්‍රියාදාමයට හරියාකාර බලපෑම් කරන්නේ කෙසේද යන්නයි. අසම්පූර්ණතා ඇතත්, ඉන්දියාවේ දේශපාලන ක‍්‍රියාදාමය ප‍්‍රජාතාන්ත‍්‍රික රාමුවක් තුළ සිදු වනවා. 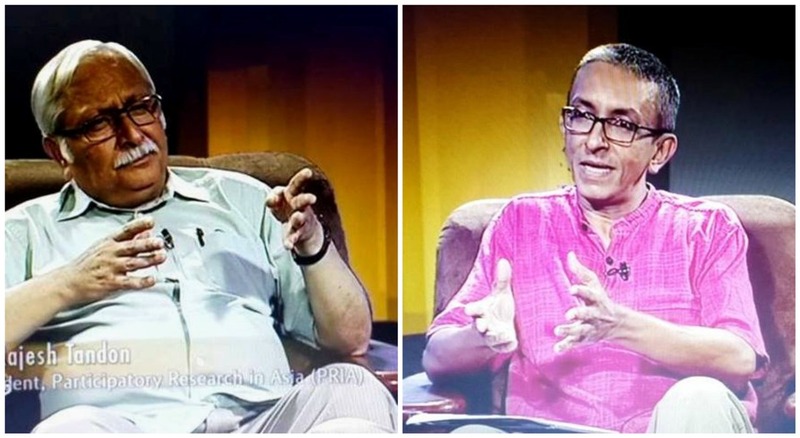 ජාතික, ප‍්‍රාන්ත හා ප‍්‍රාදේශීය (පළාත්පාලන) යන මට්ටම් තුනක් අපට තිබෙනවා. ඉන්දියාවේ පුළුල් වූත්, සංවිධානාත්මක වූත් සිවිල් සමාජයේ ක‍්‍රියාකාරිකයන් මේ මට්ටම් තුනේම ජනතා නියෝජිතයන් (ඡන්දයෙන් තේරී පත් වූවන්) සමග ඍජුව මෙන්ම මාධ්‍ය හරහාත් නිරතුරු සංවාදයක යෙදෙනවා. සමහර සිවිල් සමාජ ක්‍රියාකාරිකයන් ඡන්දවලටත් තරග කරනවාද? ජාතික හා ප‍්‍රාන්ත මට්ටමේ දේශපාලනයට අවතීර්ණවීමට නම් දේශපාලන පක්ෂයකට බැඳී ඒ හරහා නාමයෝජනා ලැබ මැතිවරණ ජය ගත යුතුයි. එහෙත් නගර සභා හා පංචයාත් (ප‍්‍රාදේශීය සභා) මට්ටමේ නම් තවමත් දේශපාලන පක්ෂයකට නොබැඳුණු අයටත් තරග කිරීමට හා තේරී පත්වීමට යම් ඉඩක් තිබෙනවා. ජන සංවිධාන නියෝජිතයෝ බොහෝ විට එම මට්ටමේ තරග කොට පළාත් පාලන දේශපාලන අවකාශයට ද පිවිසී පොදු උන්නතිය උදෙසා දිගටම ක‍්‍රියා කරනවා. එහෙත් අපට තිබෙන ලොකු අභියෝගයක් නම් ප‍්‍රාන්ත හා ජාතික මට්ටමේදී සිවිල් සමාජ ප‍්‍රමුඛතා හා දැක්මට දේශපාලන පක්ෂ කෙසේ නම්මවා ගත හැකි ද යන්නයි. ඔබ සිතන්නේ රේල් පීලි මෙන් දේශපාලන අවකාශය හා සිවිල් අවකාශය සමාන්තරව දිවෙන බවද? නැත්නම් මේවා එකිනෙක හමු වනවාද? මේ අවකාශ දෙක විටින් විට හමු වනවා. 2014 අපේ‍්‍රල්-මැයි ඉන්දියානු මහ මැතිවරණයේදීත් මෙය සිදු වුණා. උදාහරණයකට මා අයිති එක් සිවිල් ක‍්‍රියාකාරික පිරිසක් නාගරික දුගී ජනයාගේ අයිතීන් වෙනුවෙන් පෙනී සිටිනවා. මැතිවරණ කැම්පේන් කාලයේ අප ප‍්‍රධාන නාගරික ප‍්‍රදේශවල සියලූ දේශපාලන පක්ෂවල ඡන්ද අපේක්ෂකයන් හමු වී අපේ දැක්ම පහදා දුන්නා. ඔවුන්ගේ ප‍්‍රතිපත්ති ප‍්‍රකාශනවල අඩුපාඩු පෙන්වා දුන්නා. පරිසරවේදීන්, කාන්තා අයිතිවාසිකම් කණ්ඩායම් හා වෙනත් පොදු ප‍්‍රශ්න ගැන පෙනී සිටින සිවිල් කණ්ඩායම් ද මෙවැනිම සංවාදවල යෙදෙනවා. ඔවුන් අතර රාජ්‍ය නොවන සංවිධාන, වෘත්තීය සමිති, වෘත්තීයවේදීන්ගේ සංවිධාන හා ග‍්‍රාමීය ප‍්‍රජා කණ්ඩායම් සිටිනවා. මෑතදී නව ප‍්‍රවණතාවක් මතුව තිබෙන බව ඔබ පෙන්වා දුන්නා. දුෂණය, ස්ත‍්‍රී හිංසනය ආදී බරපතළ සමාජ ප‍්‍රශ්නවලට එරෙහිව විශේෂයෙන් මධ්‍යම පාන්තික ඉන්දියානුවන් පෙළගැසෙනු හා වීදි බැස උද්ඝෝෂණය කරනු අප දකිනවා. ජංගම දුරකතන හරහා කඩිනමින් සංවිධානගත වන ඔවුන් බොහෝ දෙනා සාම්ප‍්‍රදායික සිවිල් සමාජ සංවිධානවලට අයත් නැහැ නේද? මෙය ගෙවී ගිය වසර හත අට තුළ අප දකින ප‍්‍රවණතාවක්. 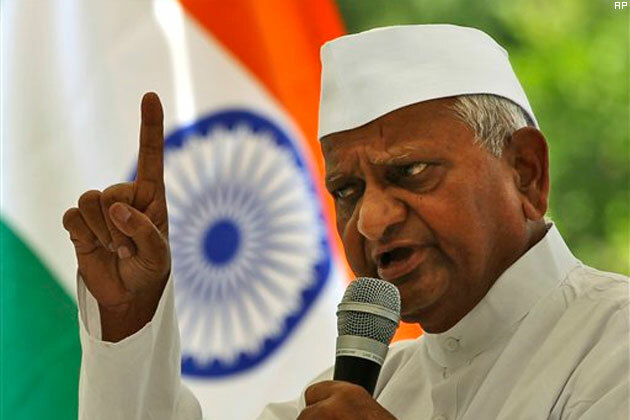 අන්නා හසාරේ (Anna Hazare) ජන නායකයා වටා ඒකරාශි වෙමින් දුෂණයට එරෙහිව හඬ නැගුවේ බොහෝ කොටම මෙබඳු අයයි. මා මෙය දකින්නේ 1990 ගණන්වල උපන් ඉන්දියානුවන් සමාජ ප‍්‍රශ්න ගැන ආවේගයෙන් එළි බැසීමක් ලෙසටයි. මෙය මා වැන්නවුන් මවිතයට පත් කළත් එය හිතකර ප‍්‍රවණතාවක් ලෙස මා දකිනවා. මෑතක් වන තුරු ඉන්දියාවේ නාගරික ඉසුරුබර උදවියගේ දේශපාලන සහභාගිත්වය ඉතා අඩු මට්ටමක පැවතියා. මැතිවරණවලදී ඡන්දය දීමට වැඩිපුර ගියේ නාගරික දුගී හා පහළ මධ්‍යම පාන්තිකයන් (65%). බොහෝ ඉහළ මධ්‍යම පාන්තිකයන් ඡන්දය දීමටවත් ගියේ නැහැ (10%). ජාතික මට්ටමේ මහ මැතිවරණවලදී පවා? ඔව්. පළාත් පාලන මැතිවරණ ගැන නම් මේ පිරිස පොඩියක්වත් තැකීමක් කළේ නැහැ. එහෙත් 2008 පමණ පටන් මෙය වෙනස් වන්නට පටන් අරන්. එය යම් තරමකට අප 2009 මහ මැතිවරණයේදී දුටුවා. එය වඩාත් හොඳින් පෙනී ගියේ 2014 මහ මැතිවරණයේදී. මේ ස්වයංසිද්ධ ප‍්‍රවණතාවට උත්පේ‍්‍රරණය හා ගැම්ම ලබා දෙන්නේ පුවත් ටෙලිවිෂන් නාලිකා, ජංගම දුරකතන ව්‍යාප්තිය, ඉන්ටර්නෙට් හා සමාජ මාධ්‍ය භාවිතය පුළුල්වීම ආදී සාධකයි. මේ තාක්ෂණික සාධක මගින් පුරවැසියන් තුළ නව පිබිදීමක් හා කැක්කුමක් ඇති කොට තිබෙනවා. සමාජය වෙලා ගත් ගනඳුරු පටල වැනි දුෂණය, ප‍්‍රචණ්ඩත්වය ආදියට එරෙහි විය හැකි බවත්, තත්ත්වය ගොඩ ගත නොහැකි තරම් අසාධ්‍ය නොවන බවත් තරුණ ඡන්දදායකයන් සිතන්නට පෙළඹිලා. නිලධාරීන් හෝ දේශපාලකයන් පසුපස ගොස්, ඔවුන්ට බැගෑපත් වී, ඔවුන් සතුටු කොට පුරවැසි වරප‍්‍රසාද ලබා ගැනීමේ දීනත්වය වෙනුවට ආත්ම අභිමානය සහිතව ජීවත් විය හැකි හෙට දවසක් ගැන ඔවුන් බලාපොරොත්තු ඇති කරගෙන සිටිනවා. මෙය නගරවල පමණක්ද? නැත්නම් ග‍්‍රාමීය ප‍්‍රදේශවලත් දැකිය හැකි පිබිදීමක්ද? දැන් මෙය ගම් ප‍්‍රදේශවලටත් පැතිරිලා. මෙයට ප‍්‍රධාන හේතුව මාධ්‍ය ව්‍යාප්තියයි. ගෙවී ගිය දශකය තුළ ඉන්දියාව පුරාම පුවත් පමණක් ආවරණය කරන ටෙලිවිෂන් නාලිකා සිය ගණනක් බිහි වුණා. මේ නාලිකා අපේ භාෂා දුසිම් ගණනකින් සමාජගත වනවා. පැය 24 පුරාම සමාජ, ආර්ථික හා දේශපාලන ප‍්‍රශ්න ගැන සජීව වාද විවාද කරනවා. 1990 මුල කාලයේ උපන්, 2010 වනවිට ඡුන්දය දීමේ වයසට ළඟාවූ මිලියන ගණන් තරුණ තරුණියන් හැදුණේ වැඩුණේ මේ බහුමාධ්‍ය වාතාවරණය තුළයි. ජංගම දුරකතන බිලියනයකට ආසන්න සංඛ්‍යාවක් රට තුළ ව්‍යාප්ත වීම හා ඒවා භාවිතයේ වියදම ඉතා අඩු වීම හරහා ද තොරතුරු ගලායෑමට පෙර යුගවල තිබූ බාධක බොහෝ කොට බිඳ වැටිලා. ඔබ කියන්නේ මාධ්‍ය හා තොරතුරු තාක්ෂණය එක පසෙකිනුත්, අතිවිශාල තරුණ හා උගත් ජනසංඛ්‍යාවක් තව පසෙකිනුත් මතු වීම හරහා ඉන්දීය සමාජයේ මේ නව ප‍්‍රජාතාන්ත‍්‍රික පිබිදීම සිදුව ඇති බවයි? මේ සාධක දෙක සමාපත වූ මැදපෙරදිග සමහර රටවල අරාබි වසන්තය නම් ජන අරගල මතු වුණා. එහෙත් ඉන්දියාවේ එබන්දක් සිදු වුණේ නැහැ. ඒ වෙනුවට පොදු මිනිසාගේ පක්ෂය ආමි ආද්මි (Aam Aadmi Party, AAP) මතු වුණා. මේ වෙනසට හේතුව කුමක්ද? ජන සංයුතිය (demographics) මෙහිදී ඉතා වැදගත් සාධකයක්. ඉන්දියාවේ ජනගහනයේ මධ්‍යන්‍ය වයස 24යි. ඒ කියන්නේ අපේ සමස්ත ජනගහනය වන මිලියන් 1,200න් බාගයක්ම (මිලියන් 600ක්) වයස 24 හෝ ඊට අඩුයි. මේ මහා තරුණ ජනකාය තමන්ගේ ආවේගයන් කෙළින්ම පොදු අවකාශයේ (වීදි බැස සාමකාමී උද්ඝෝෂණ කිරීමෙන්) හෝ සයිබර් අවකාශයේ ප‍්‍රකාශ කරනවා. මෙය පෙර කිසිදා නොතිබි අන්දමේ තත්ත්වයක්. මෙය මා දකින්නේ අතරමැදි (දේශපාලන හෝ සිවිල් සමාජ සංවිධාන) හරහා නොගොස් ඍජුව පුරවැසියන් රාජ්‍ය පාලකයන්ට බලපෑම් කිරීමේ නව රටාවක් ලෙසයි. පරම්පරාවකට පෙර මෙබඳු තරුණ උදවිය දේශපාලන පක්ෂවලට හෝ සිවිල් සමාජ සංවිධානවලට හෝ බැඳී ක‍්‍රියා කළා. අද බොහෝ කොට ඔවුන් ඍජුවම එය කරනවා. දුෂණ විරෝධී ජන රැල්ල හා දිල්ලියේ ස්ත‍්‍රී දුෂණයට එරෙහිව ඉන්දියාව පුරාම මතුව ආ ජන රැල්ල මෙයට මෑත උදාහරණයි. එහිදී වීදි බැස නීතිය ක‍්‍රියාත්මක කිරීමට බලකර සිටි තරුණ පිරිස් අගමැති හා ස්වදේශ ඇමතිට කෙළින්ම පණිවුඩයක් දුන්නා. එසේම ජාතික ප‍්‍රශ්න ගැන වීදියට බසින තරුණ තරුණියෝ කෙළින්ම රට කරවන ඇත්තන්ට එහි එන්නයැ’යි බල කොට කියනවා. පොලිස්පති හෝ ජ්‍යෙෂ්ඨ රාජ්‍ය නිලධාරීන් හෝ පැමිණියාට ඔවුන්ට මදි. එසේ ප‍්‍රසිද්ධ ස්ථානවලට පැමිණීම දේශපාලන නායකයන්ගේ ආරක්ෂාවට තර්ජනයක් විය හැකිද? ඒ තර්කය විවාදාත්මකයි. තරුණ උද්ඝෝෂණකරුවන් කියන්නේ මේ අගමැති, ඇමති පිරිස පත්ව සිටින්නේ මහජන ඡුන්දයෙන්. ඔවුන් නඩත්තු කරන්නේ මහජන මුදලින්. ඉතින් එම මහජනයාගේ පිරිසක් හමුවීමට දේශපාලන නායකයන්ට එන්න බැරිද? එසේම කමාන්ඩෝ ආරක්ෂකයන් පිරිවරා ගෙන වාහන දහය විස්සක රථ පෙරහරින් දේශපාලකයන් එහා මෙහා යාම ඉන්දියාවේ තරුණ පිරිස් රුස්සන්නේ නැහැ. ඔවුන් කියන්නේ ජනතාවට ඔයිට වඩා සමීප වන්න බැරි නම්, බය නම් ලොකු ලොක්කෝ දේශපාලනයෙන් ඉවත් විය යුතු බවයි! ඉන්දියාවේ 2014 මහ මැතිවරණයේදී ප‍්‍රථම වතාවට ඡන්දය දීමේ වයසට ළඟා වූ තරුණ තරුණියන් මිලියන් 150ක් පමණ සිටියා. මේ පිරිස වඩා උගත්, තොරතුරු තාක්ෂණයෙන් සන්නද්ධ වූවන් වීම මැතිවරණ ප‍්‍රතිඵලයට බලපෑවේ කෙසේද? ඉන්දියාවේ ජාතික සාක්ෂරතාව 74%ක් වුවත් වයස 24ට අඩු ජන කොටස අතර එය 90%ක් තරම් ඉහළයි. මේ අය අඩු තරමින් වසර 10-12ක් පාසල් ගිය තොරතුරු ලැබීමේ හා හුවමාරුවේ අගය දත් පිරිසක්. මීට පෙර පරම්පරා මෙන් දේශපාලකයන් කරන කියන ඕනෑම දෙයක් ඉවසා සිටින්නට ඔවුන් සූදානම් නැහැ. ඉතිරි කොටස ලබන සතියේ – ඉන්දියාවේ අත්දැකීම් ශ‍්‍රී ලංකාවට අප කෙසේ අදාළ කර ගත යුතුද? සිවුමංසල කොලූගැටයා #201: ශ‍්‍රී ලංකාවේ අරාබි වසන්තයක් හට ගත හැකිද? In this week’s Ravaya column (in Sinhala), published in the issue dated 4 January 2015, I pose a topical question: are there necessary and sufficient conditions for a spontaneous people’s uprising in Sri Lanka similar to what happened in the collective phenomenon known as the Arab Spring? 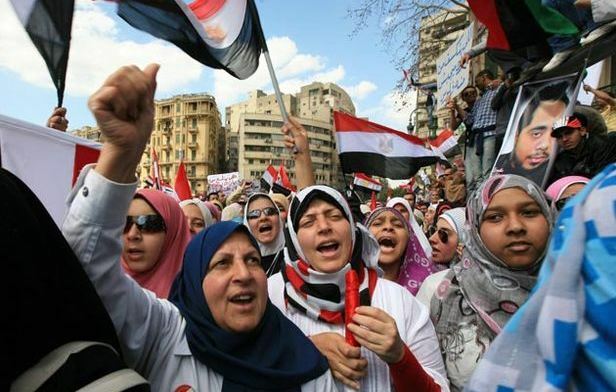 I address this because both the ruling party and opposition politicians in Sri Lanka have been loosely referring to Arab Spring during their current campaigns running up to the Presidential Election scheduled for 8 January 2015. In this column, I briefly chronicle what happened in the Middle East and North Africa during 2010-11, and then explore the many factors that triggered or sustained the complex series of events. I discern three key factors: demographics (especially a low median age with large youthful populations); democracy deficit; and proliferation of information and communications technologies ranging from easy access to trans-boundary satellite television broadcasts, mobile phones and Internet. I argue that while Sri Lanka of today has achieved the ICT factor in good measure, the other two factors fall short. With a median age of 31 years (in 2012), ours is no longer a youthful population and the demographic impetus for uprisings has passed. And while there are serious concerns about governance, the country’s democratic deficit is only partially present. Thus, it is very unlikely that an Arab Spring style uprising could happen in Sri Lanka. So both the ruling coalition and opposition parties relax — and should let go of this much-hyped prospect. ශ‍්‍රී ලංකාවේ අරාබි වසන්තයක් හට ගත හැකිද? ඒ සඳහා අවශ්‍ය සාධක ප‍්‍රමාණවත් පමණින් පෙළගැසීමක් මෙරට හමු වේද? 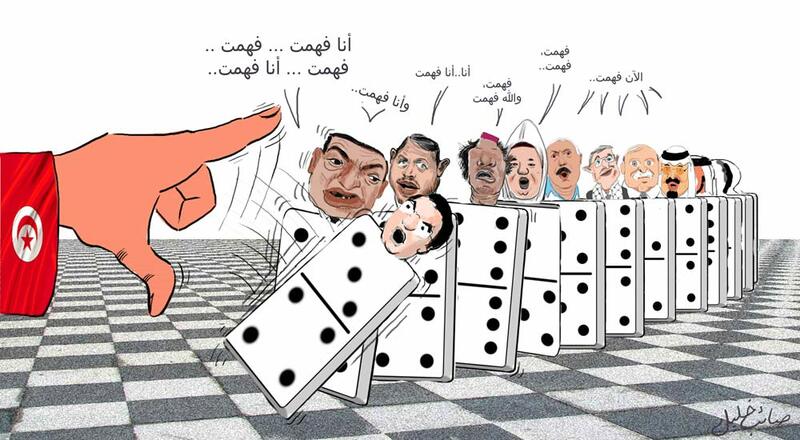 අරාබි වසන්තය (Arab Spring) හරියට ‘සීතල යුද්ධය’ (Cold War) නැතහොත් ගෝලීයකරණය (Globalization) වැනි පුළුල් යෙදුමක්. එකිනෙකට යම් තරමකින් බැඳුණු සිදුවීම් මාලාවකට හා ප‍්‍රවාහයකට යොදනු ලබන්නා වූත් මාධ්‍ය විසින් ජනප‍්‍රිය කරන ලද්දා වූත් සංකල්පයක්. අරාබි වසන්තය ගැන නිරවුල් අවබෝධයක් නොමැතිව එය ගෙඩි පිටින් ශ‍්‍රී ලංකාවට අදාල කරන්නට පාලක පක්‍ෂයේ මෙන්ම විපක්‍ෂයේ ද ඇතැම් දේශපාලකයන් උත්සාහ කරනු මෑත කාලයේ අපට අසන්නට ලැබුණා. ඔවුන්ගේ ප‍්‍රකාශ දෙස බලන විට පෙනී යන්නේ නවීන සන්නිවේදන තාක්‍ෂණ මෙවලම්වලින් සන්නද්ධ වූ ජනයා ප‍්‍රජාතන්ත‍්‍රවාදී නොවන කලහකාරී අරගලයක් හරහා පවත්නා රජයක් වෙනස් කිරීම අරාබි වසන්තය ලෙස ඔවුන් තේරුම් ගන්නා ආකාරයයි. නමුත් සැබෑ තත්ත්වය මීට වඩා සංකීර්ණ මෙන්ම සියුම් ද වනවා. අරාබි වසන්තය ආකාරයේ ජනතා අරගල හා නැගී සිටිම් මැදපෙරදිග, උතුරු අප‍්‍රිකාවේ හා සමහර නැගෙනහිර යුරෝපීය රටවල සිදු වුවත් වෙනත් රටවල සිදු නොවීමට සීමාකාරී සාධක මොනවාද? පසුව මෙයට විකල්ප යෙදුම් ද සමහරුන් භාවිත කරන්නට පටන් ගත්තා. එනම් ඉස්ලාමීය වසන්තය (Islamic Spring). හේතුව කලක් පැවති පාලනතන්ත‍්‍ර ඇද වැටුණු රටවල් ගණනාවකම එම තැනට ඒ වෙලේම හෝ ටික කලකින් හෝ පත් වූයේ ඉස්ලාමීය දේශපාලන පක්‍ෂ නිසා. මීට අමතර අරාබි පිබිදුම, අරාබි උද්ඝෝෂණ, අරාබි ජන අරගල ආදි නම් ද භාවිත වනවා. කලක් තිස්සේ මැදපෙරදිග රටවල කැකෑරෙමින් තිබුණු ජනතා දුක් ගැනවිලි හා තරුණ අසහනයන් අන්තිමේදී පුපුරා ගියේ ටියුනීසියාවේ සිඩි බවුසිඞ් (Sidi Bouzid) නම් නගරයේදී. 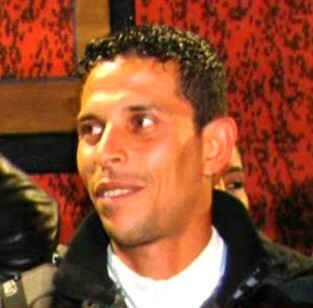 මොහමඞ් බවුඅසීසි Tarek al-Tayeb Mohamed Bouazizi නම් 26 හැවිරදි තරුණ වීදි වෙළෙන්දකු 2010 දෙසැම්බර් 17 වනදා ප‍්‍රසිද්ධියේ ගිනි තබා ගත්තා. ඔහු එය කළේ නගර සභාවේ දුෂිත නිලධාරින් තමන්ට දිගින් දිගටම අල්ලස් ඉල්ලා කළ හිරිහැර හා පොලිසියේ අඩන්තේට්ටම්වලට විරෝධය පෑමටයි. රෝහල් ගත කරනු ලැබූ ඔහු 2011 ජනවාරි 4 වනදා මිය ගියා. මේ තරුණයාගේ අත්දැකීමට සමාන හිරිහැර ලද තවත් බොහෝ දෙනා තම විරෝධය පළ කිරීමට මෙය අවස්ථාව කර ගත්තා. ඒ සමග නගරයේ වීදි කලබල හට ගත්තා. මේ සිදුවීම් ස්මාට්ෆෝන් ජංගම දුරකථන හරහා වීඩියෝ ගත කළ ජනයා ඒවා රට පුරා සිටින තමන් හඳුනන අයත් සමග බෙදා ගත්තා. 1987 සිට අයෝමය හස්තයකින් වියුනීසියාව පාලනය කළ ජනාධිපති අබිදීන් බෙන් අලීගේ රජය යටතේ රට පුරාම මෙබඳු දුෂණ හා අක‍්‍රමිකතා ඉහවහා ගොස් තිබුණා. එක් නරගයක එයට එරෙහිව විරෝධතා මතු වනු දුටු සෙසු ජනයා ද එයට එක් වුණා. මෙය ස්වයංසිද්ධියක් මිස කිසිවකු සංවිධානගතව සැළසුම්ගතව කළ දෙයක් නොවෙයි. ටියුනිසියාව මධ්‍යම ආදායම් ඇති රටක් වුව ද බොහෝ දෙනා දුගී බවින් මිරිකී නිලධාරිවාදට හසු වී පීඩිතව සිටියා. මේ නිසා තරුණ අරගලයට බොහෝ ජනයාගේ ආශිර්වාදය හා සහාය ලැබුණා. රටපුරා වීදි කැළඹීම් හා විරෝධතා මැද අතිශයින් දුෂිත බෙන් අලී හා ඔහුගේ පවුලෙ උදවිය සෞදි අරාබියට පළා ගියා. ඒ 2011 ජනවාරි 14 වනදා. එහෙත් මහජන උද්ඝෝෂණ නතර වූයේ නෑ. වසර 25කට ආසන්න කාලයක් රට පාලනය කළ අලිගේ RCD පක්‍ෂය තහනම් කිරීමට ජනයා බලපෑම් කළා. එය පිළිගත් එරට අධිකරණය RCD තහනම් කොට එහි සම්පත් රාජ සන්තක කළා. එසේම අලූතෙන් පත්වූ රජය අලි යටතේ ක‍්‍රියාත්මක වූ බිහිසුනු රහස් පොලිසිය වසා දැමුවා. 2011 ඔක්තෝබරයේ පැවති මැතිවරණයෙන් එන්නඩා ව්‍යාපාරය නම් වූ දේශපාලන කණ්ඩායම බහුතර ආසන දිනා රජයක් පිහිටවූවා. ටියුනීසියාවෙන් ඇරැඹුණු මේ ජනරැල්ල දින හෝ සති කිහිපයක් ඇතුළත ජෝර්දානය, කුවේට්, ඊජිප්තුව, ඇල්ජීරියාව, යේමනය, බහරේන් හා සිරියාව වැනි රටවලට ද ව්‍යාප්ත වුණා. උද්ඝෝෂණකරුවන් මේ හැම රටකම පාහේ යොදා ගත් ක‍්‍රමෝපායන්ගේ යම් සමානකම් තිබුණා. එනම් වැඩවර්ජන, වීදි උද්ඝෝෂණ, පෙළපාලි, මහජන රැස්වීම් හා ප‍්‍රසිද්ධ ස්ථානවල දිවා රාති‍්‍ර රැඳී සිටිමින් සත්‍යග‍්‍රහ කිරීම ආදියයි. සමහර රටවල ප‍්‍රචණ්ඩත්වයට පෙරළුනත් අනෙක් තැන්වල කලහයන්ට වඩා ප‍්‍රබලව මතුව ආයේ ජන ඒකරාශිවීම් හා සාමකාමී විරෝධතායි. යම් තීරණාත්මක අවස්ථාවන්හිදී ඇතැම් රටවල පොලිසිය හා හමුදා සිය සහෝදර ජනතාවට පහර දී ජන විරෝධතා විසුරුවා හැරීම ප‍්‍රතික්‍ෂෙප කිරීම හරහා අධිපතිවාදී පාලකයන් බල විරහිත තත්ත්වයකට පත් වුණා. සමහර පාලකයන් එවිට කළේ ජන විරෝධය ඇතුළතින්ම බෙදීම් ඇති කොට ඔවුනොවුන් ඇණකොටා ගන්නා තැනට පත් කිරීමයි. (උදාහරණ සිරියාව). අරාබි වසන්තය හමුවේ පාලකයන් හදිසියේ වෙනස්වීම සිදු වූයේ ටියුනීසියාව, යේමනය, ලිබියාව හා ඊජිප්තුව යන රටවල පමණයි. ජන උද්ඝෝෂණ හමුවේ රාජ්‍ය පාලන ප‍්‍රතිසංස්කරණ කිරීමට හා වඩාත් ප‍්‍රජාතන්ත‍්‍රවාදී රාමුවකට යොමු වීමට කුවේටය, මොරොක්කෝව, ලෙබනනය, ඕමානය, ජෝර්දානය යන රටවල නායකයෝ ක‍්‍රියා කළා. තවත් රටවල කෙටි හෝ දිගු කාලීන දේශපාලන අස්ථාවරවීම හෝ සිවිල් යුද්ධ හට ගත්තා. අරාබි වසන්තය ටික කලෙකින් අරාබි සිසිරයක් (Arab Winter) බවට පත් වූ සිරියාව, ඊජිප්තුව වැනි රටවල ප‍්‍රජාතන්ත‍්‍රවාදී ප‍්‍රතිසංස්කරණ සඳහා අරගල තවමත් සිදුවනවා. සිරියාවේ සිවිල් යුද්ධය රට දෙපසකට ධ‍්‍රැවීකරණය කළ ඉමහත් මානුෂික ව්‍යසනයක් බවට ඉක්මනින් පත් වුණා. මෙහි අවසානයක් තවමත් දකින්නට නැහැ. ඊජිප්තුවේ ජන උද්ඝෝෂණ හමුවේ වසර 30ක් එරට පාලනය කළ හොස්නි මුබාරක් බලයෙන් ඉවත් වූවත් දේශපාලන ස්ථාවර බවක් තවමත් එරටට ලඟා වී නැහැ. 2011 ජනවාරි – පෙබරවාරි වකවානුවේ කයිරෝ නුවර සාමකාමී ජන උද්ඝෝෂණවලට සහභාගී වූ වෘත්තික මට්ටමේ මගේ මිතුරන් දෙදෙනෙකු මේ වන විට මහත් කළකිරීමට හා ඉච්ඡා භංගත්වයට පත්ව සිටිනවා. හරිහැටි දැක්මක් හා ඉලක්කයකින් තොරව පාලකයන් පලවා හැරීමෙන් පමණක් රටක යහපාලනය ළඟා කර ගත නොහැකි බව ඔවුන් දැන් පිළිගන්නවා. 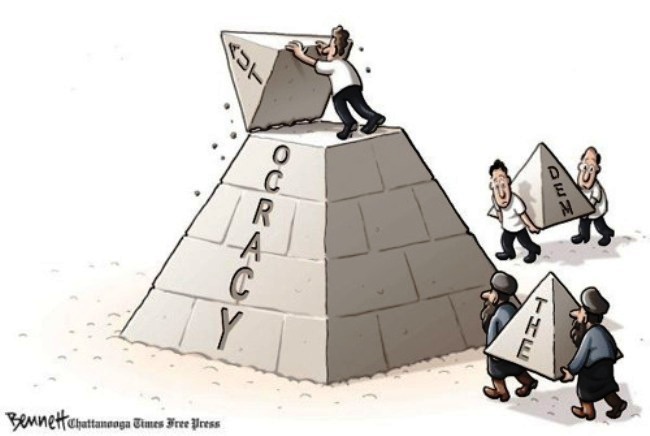 Replace autocracy with democracy or theocracy? Changing the top isn’t that easy! එසේම ඒකාධිපතිවාදී සිවිල් පාලකයන් ඉවත් වූ සමහර රටවල එම හිදැසට හමුදා පාලකයන් හෝ ආගමික අන්තවාදීන් රිංගා ගැනීම ද ජනහිතවාදී ප‍්‍රතිඵලයක් නොවෙයි. කෙතරම් අඩුපාඩු හා විෂමතා තිබුණත් පිරිසිදු මැතිවරණයකින් ආණ්ඩු වෙනස් කිරීමේ සම්ප‍්‍රදාය මේ අරගලවාදී මාවත් සියල්ලට වඩා වටිනවා. 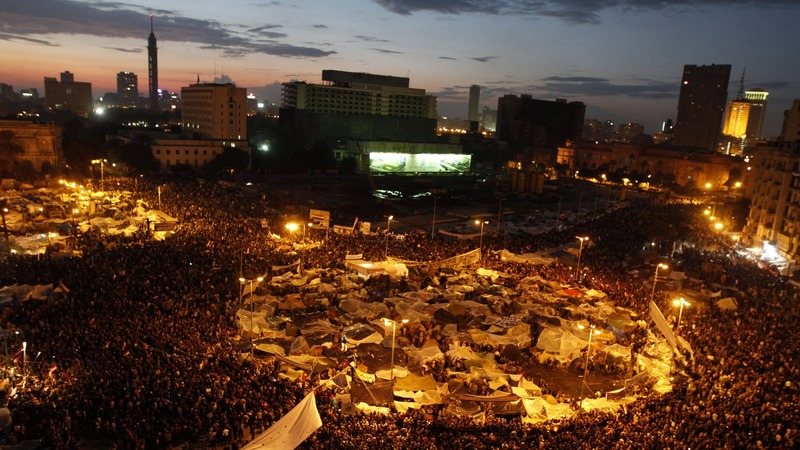 Arab Spring Timeline: A detailed review of major events looking back at three years of Arab Uprisings across the region. රටකින් රටකට සමාජයීය, ආර්ථික හා දේශපාලන යථාර්ථයන් වෙනස්. එකම තාක්‍ෂණය හෝ දේශපාලන මූලධර්මය වුව ද රටින් රටට අදාල වන්නේ වෙනස් ආකාරයටයි. එබඳු විවිධත්වයක් තුළ අරාබි වසන්තය මතු වී විවිධ මට්ටම්වලට දිග හැරී ගිය රටවලට මුළුමනින්ම නොවුවත් සැළකිය යුතු තරමකට පොදු වූ තීරණාත්මක සාධක තුනක් තිබුණා. 1. පළමුවැන්න ජනගහන සාධකයයි (demography). ජන සංයුතිය සළකන විට ජනගහනයේ මධ්‍යන්‍ය වයස (median age) අඩු වීමයි. මුළු රටෙන් බාගයක්ම ළමුන් හා තරුණ තරුණියන් වීම අරාබි වසන්තය පැන නැගුණු බොහෝ රටවල දක්නට ලැබුණා (ටියුනීසියාව මධ්‍යන්‍ය වයස අවුරුදු 29, ඇල්ජීරියාව 27.1යි, ඊජිප්තුව 24යි, සිරියාව 21.5යි). අයිතීන් ඉල්ලමින් හා අසාධාරණයට එරෙහිව උද්ඝෝෂණ කිරිමේ නැඹුරුව වැඩිම වන්නේ තරුණ ජන කොටස අතරයි. තරුණයන් බහුල ජනගහනයකට ඇති තරම් අධ්‍යාපනික හා රැකියා අවස්ථා නොමැතිවීමත්, රටේ සුළුතරයක් පමණක් වරප‍්‍රසාද ලබමින් ඉසුරුමත් වන අතර බහුතරය දුගී දුකින් පීඩිත වීමත් මේ රටවල දැකිය හැකි වුණා. 2. දෙවැනි සාධකය නම් ප‍්‍රජාතන්ත‍්‍රවාදයේ සැබෑ ගුණාංග වන නීතියේ ආධිපත්‍යය, අදහස් ප‍්‍රකාශනයේ නිදහස, විකල්ප දේශපාලන මත දැරීමේ අවකාශය ආදිය සෝදාපාලූවට ලක් වී ප‍්‍රජාතන්ත‍්‍රවාදයේ හිදැසක් හෙවත් පරතරයක් (democratic deficit) පැවතීමයි. එයට සමාන්තරව මහා පරිමාණ දුෂණ, වංචා, පවුල්වාදය, පක්‍ෂවාදය හා වෙනත් විසමතා හරහා සුදුස්සාට සුදුසු තැන නොලැබී යාමත්, තරුණ අසහනය මතු වී ඒමත් සිදු වනවා. මේ සියල්ල අරාබි වසන්තය පැන නැගුණු රටවල සැළකිය යුතු අන්දමට තිබුණා. සමහර රටවල් කලින් කලට මැතිවරණ පැවැත්වුවත් ඒවා නිදහස් හෝ අපක්‍ෂපාත වූයේ නැහැ. එසේම අදහා ගත නොහැකි තරම් ඉහළ ප‍්‍රතිශතයන් ලබා එකම පාලකයා හෝ ඔහුගේ ගජ මිතුරු පිරිස යළි යළිත් බලයට පත් වීම සුලබව සිදු වුණා. මේ නිසා ප‍්‍රජාතන්ත‍්‍රවාදී රාමුව හරහා සැබෑ යහ පාලනයක් බිහි කළ හැකිය යන්න විශ්වාස කළ තරුණ පිරිස ටිකෙන් ටික අඩු වුණා. හුදෙක් බලයේ සිටින රජය පමණක් නොව සමස්ත රාජ්‍ය තන්ත‍්‍රය ගැනම තරුණයන් අතර විශ්වාසය බිඳී යාමක් ද දැකිය හැකි වුණා. එනම් අධිකරණය, සරසවි පාලකයන්, ප‍්‍රධාන ප‍්‍රවාහයේ ජනමාධ්‍ය ආදිය ද පාලකයන්ගේ පටු උවමනාකම්වලට නතු වී පොදු උන්නතිය නොතකා හරින බවට තරුණ පිරිස අතර ප‍්‍රබල හැඟීමක් පැවතුණා. 3. තෙවැනි සාධකය නම් නවීන සන්නිවේදන තාක්‍ෂණයන්ගේ ආගමනය හරහා තොරතුරු ගලනයත්, අන්තර් පුද්ගල සබඳතා වඩාත් ලෙහෙසි හා බහුලවීමත්. මෙය ජංගම දුරකථන බොහෝ සේ ප‍්‍රචලිත වී ඇමතුම් ගාස්තු ලාබදායක වීමේ සිට ඉන්ටර්නෙට් භාවිත කරන ජන ප‍්‍රතිශතය ඉහල යාම දක්වා විහිදුණු පරාසයක්. සන්නිවේදන තාක්‍ෂණය නිසාම කලාපීය වශයෙන් හා ජාත්‍යන්තර මූලාශ‍්‍රවලින් එන ටෙලිවිෂන් පුවත් විකාශයන් වඩා පහසුවෙන් නැරඹීමේ හැකියාව රටේ බහුතරයක් ජනයාට ලැබීම ද ලෝකය ගැන ඔවුන්ගේ අවබෝධය අලූත් කළා. තමන්ට සමාන වෙනත් රටවල වඩාත් විවෘත හා ජනසම්මත සමාජවල ජනයා දිවි ගෙවන්නේ කෙසේ ද යන්න ඔවුන් දිනපතාම වාගේ ටෙලිවිෂන් හරහා දුටුවා. මැද පෙරදිග ජනමතයට අල්ජසීරා අරාබි ටෙලිවිෂන් නාලිකා හරහා ද ඉංග‍්‍රීසි දත් අයට CNN, BBC හරහා ද ලෝකය ගැන දැන ගැනීමේ අවකාශය තිබුණා. ඉන්ටර්නෙට් හරහා විකිලීක්ස් වැනි හෙළිදරව් සිදු වූ විට තම රටේ පාලකයන්ගේ අසාධාරණකම් හා දුෂණ ගැන තොරතුරු පළමුවරට රටේ ජනයා දැන ගත්තා. 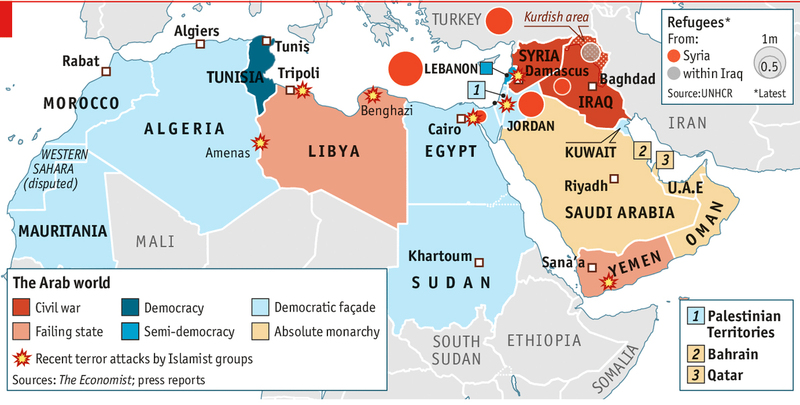 World Affairs (July/Aug 2011): Did WikiLeaks Inspire Arab Spring? එසේම ජංගම දුරකථන හරහා හසු කර ගන්නා ඡායාරූප හා වීඩියෝ පුද්ගලයන් අතර හුවමාරු වීම හා ඒවායෙන් සමහරක් වෙබ්ගත කොට සෙසු ජනයා නැරඹීම හරහා ජන උද්ඝෝෂණ ඊජිප්තුව වැනි විශාල රටවල විවිධ ප‍්‍රදේශවලට ඉක්මනින් පැතිර යාමට උපකාර වුණා. අරාබි වසන්තයේදී සමාජ මාධ්‍ය (social media) සැළකිය යුතු කාර්යයක් ඉටු කළ බව සැබෑවක්. එහෙත් එය සමහරුන් සිතන තරම් සරල හෝ රේඛීය සංසිද්ධියක් නොවෙයි. අධිපතිවාදී පාලකයන් බලයෙන් පෙරළා දැමීමට වඩා සමාජ මාධ්‍යවල සංවාද බහුතරයක් ගොඩ නැගුණේ ප‍්‍රජාතන්ත‍්‍රවාදී හිදැස ගැන ජනතාවගේ (විශේෂයෙන්ම තරුණ තරුණියන්ගේ) සංවාද සිදු කිරීමට බව එම රටවල අදාල කාලයන්හි සමාජ මාධ්‍ය අන්තර්ක‍්‍රියා මිලියන් ගණනක් විශ්ලේෂණය කළ පර්යේෂකයන් සොයා ගෙන තිබෙනවා. එහෙත් සමාජ මාධ්‍ය මත පමණක් යැපීමෙන් තොරව බහුවිධ සන්නිවේදන උපක‍්‍රම යොදා ගන්නට විශේෂයෙන්ම ඊජිප්තුවේ ජන උද්ඝෝෂණයට නායකත්වය දුන් සරසවි සිසුන් හා සෙසු ක‍්‍රියාකාරිකයන් වග බලා ගත්තා. මෙයට හේතුව ඉන්ටර්නෙට් හා ජංගම දුරකථන වැනි සේවා අදාල ටෙලිකොම් සමාගම්වලට බල කිරීම හරහා ඉක්මනින් අඩාල කිරීමට හෝ නතර කිරීමට හෝ පාලකයන්ට හැකි බව සිසුන් දැන සිටීමයි. 2011 ජනවාරි 28 වනදා ඊජිප්තුව ගෝලීය ඉන්ටර්නෙට් සබඳතාවලින් කපා හරින්නට මුබාරක් රජය ක‍්‍රියා කළත් ඒ වන විට එබඳු අවහිරයකින් නතර කළ නොහැකි තරමට ජන උද්ඝෝෂණ ප‍්‍රබල වී තිබුණා. අරාබි වසන්තය නම් සංකීර්ණ සිදුවීම් මාලාව දේශපාලනික, සමාජ විද්‍යාත්මක හා තාක්‍ෂණික වැනි දෘෂ්ටිකෝණ කිහිපයකින් විග‍්‍රහ කළ හැකියි. එහි විචල්‍යයන් (වෙනස් වන සාධක) විශාල සංඛ්‍යාවක් තිබූ නිසා එම සිදුවීම් තනි ආකෘතියකට සම්පිණ්ඩනය කිරීමට බැහැ. අවශ්‍ය වූ ප‍්‍රධාන සාධක තුනම එක මොහොතේ එක රටක සමපාත වූ විට ජන උද්ඝෝෂණ හට ගත් බව සැබෑයි. එහෙත් එබඳු අවස්ථාවල පවා ඒවා විකාශනය වූයේ හා අවසන් වූයේ එකිනෙකට වෙනස් ආකාරයෙන්. අරාබි වසන්තයට තුඩු දුන් ප‍්‍රධාන සාධක තුන ඇති පමණින් ශ‍්‍රී ලංකාවේ හමු වේද? සන්නිවේදන තාක්‍ෂණ සාධකය (ටෙලිවිෂන්, ජංගම දුරකථන, ඉන්ටර්නෙට්) නම් සපුරා ගෙන තිබෙනවා. එහෙත් 2012 ජන සංගනනයට අනුව දැන් අපේ ජනගහනයේ මධ්‍යන්‍ය වයස අවුරුදු 31යි. එනිසා ජනගහන සාධකය තව දුරටත් තරුණ අරගල ජනනය කිරීමට හිතකර පසුබිමක් සපයන්නේ නැහැ. මෙරට ප‍්‍රජාතන්ත‍්‍රීය හිදැසක් පවතින බව සැබෑ වූවත් එය ජන උද්ඝෝෂණ බිහි වීමට තරම් ප‍්‍රබල ද යන්නත් විවාදාත්මකයි. මේ සියුම් යථාර්ථයන් හරිහැටි සළකා නොබලා මෙරට අරාබි වසන්තයක් ගැන කථා කිරීම තේරුමක් නැති හා අනවශ්‍ය ලෙස අවධානය වෙනතකට යොමු කරවන ක‍්‍රියාවක්. ඉන්දියාවේ ප්‍රමුඛ පෙළේ සිවිල් සමාජ නායකයකු හා එම විෂය ගැන ලොව පිලිගත් විද්වතකු වන ආචාර්ය රාජේෂ් ටැන්ඩන් (Dr Rajesh Tandon) සමග 2014 මැද මා ටෙලිවිෂන් සාකච්ඡාවක් කළා. සන්නිවේදන තාක්ෂණනන් ප්‍රචලිත වීමෙහි දේශපාලනික විපාක මොනවාදැයි මා ඇසුවා. ටැන්ඩන් කියන්නේ අරාබි වසන්තය අවාසනාවකට මෙන් අරාබි සිසිරයකට පෙරැලූනත් සිසිරය සදා කල් නොපවතින බවයි. සිසිරය හමාර වී යළි කෙදිනක හෝ වසන්තය එළඹෙනු ඇති බවත්, මර්දනකාරී හා ඒකාධිපති පාලනයන් දිගු කලක් අල්ලාගෙන සිටිය ද එය ඉතිහාසයේ ජනතාවාදී ප‍්‍රවාහයන්ට එරෙහිව රැඳී තිබෙන්නේ සීමිත වකවානුවකට පමණක් බවද ඔහුගේ මතයයි.